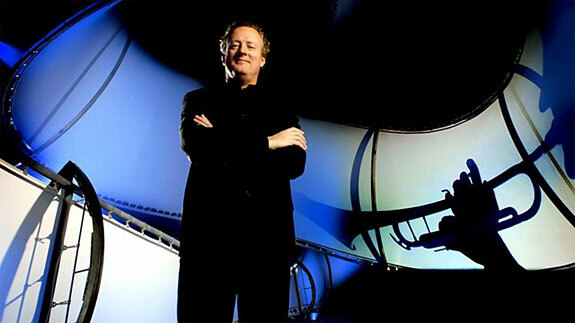 Video Series: Howard Goodall's Story Of Music A very special six part video series. A very special six part video series. Originally broadcast in 2013, Howard Goodall's Story of Music video series by the BBC is quite enlightening. And i quote, "Today music is available everywhere, at the press of a button, but a thousand years ago it was an eerie whisper in a desert of silence. However music has always been a crucial part of human existence. Archaeological evidence shows us that music – although we have absolutely no idea what it sounded like - was just as important a component of life in the Upper Paleolithic Age as it is today. Howard Goodall charts the development of the oldest music that has come down to us from the ancient world intact, the 'Gregorian' chant. It started with a handful of monks singing the same tune in unison, without rhythm, without harmony. Over several centuries, with developments coming at a snail's pace, medieval musicians painstakingly put together the basics of what we now call harmony and added rhythm. These are the building blocks of the music the whole planet enjoys today." Within the second video of this series, "Howard Goodall looks at the extraordinarily fertile musical period between 1650 and 1750, in which many of the musical innovations we take for granted today were invented. The orchestra; the overture, which led, ultimately, to the symphony; satisfying chord sequences, which gave music a forward momentum; modern tuning, which, for the first time, allowed composers to move from one key to any other they chose, and for different instruments to easily play together; the concerto, the oratorio, and, not least, the piano." Below are all six BBC episodes, and we note that... "In the sixth and final episode, composer Howard Goodall looks at the popular age – the last hundred years in music. It has been a period when classical music, as it is now generically styled, seemed to many to be in retreat, crisis or even terminal decline. Howard Goodall believes that rumours of its death have been exaggerated. While some cutting edge works proved too challenging to win the hearts of a mainstream audience, the DNA of classical music, as it had been constituted since the time of Monteverdi in the 1600s, is alive and well in musical theatre, in the cinema and in much popular music. Beginning with Gershwin's Rhapsody In Blue, a jazz-classical hybrid first performed in 1924 that became a much-loved standard – despite its sniffy reception by highbrow critics at the time."